One thing startups such as Lucid and XING Mobility and more established young companies like Tesla do to traditional carmakers is light some fire under their feet. 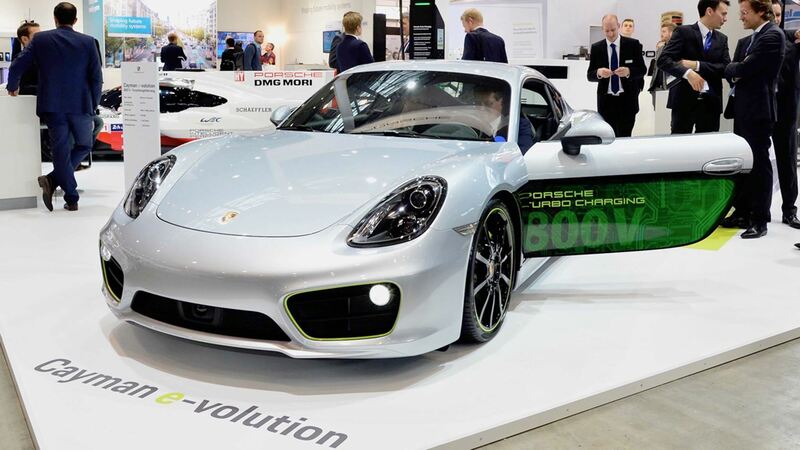 The Porsche Cayman e-volution is answering that competition with high-voltage charging. 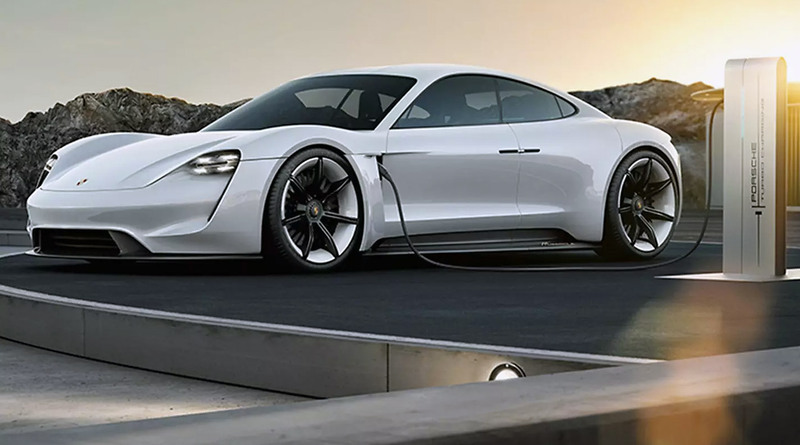 Porsche unveiled another electric vehicle (EV) concept at the recent Electric Vehicle Symposium in Stuttgart. The Cayman e-volution shows potential when it comes to high voltage and performance. It certainly shows the kind of work the company is putting into its Mission E next-gen electric supercar. Indeed, the Cayman e-volution is Porsche’s answer to the aching request to boost the voltage of EVs to 800 volts. That also means the Cayman e-volution can sprint the 0–60 mph in 3.3 seconds. The car has only a modest range of 200 kilometers (125 miles). It’s no Model S match, but it shows Porsche is still tweaking its EV approach, ever since its founder’s first electric car over a century ago. The Porsche Cayman e-volution is not destined for production. 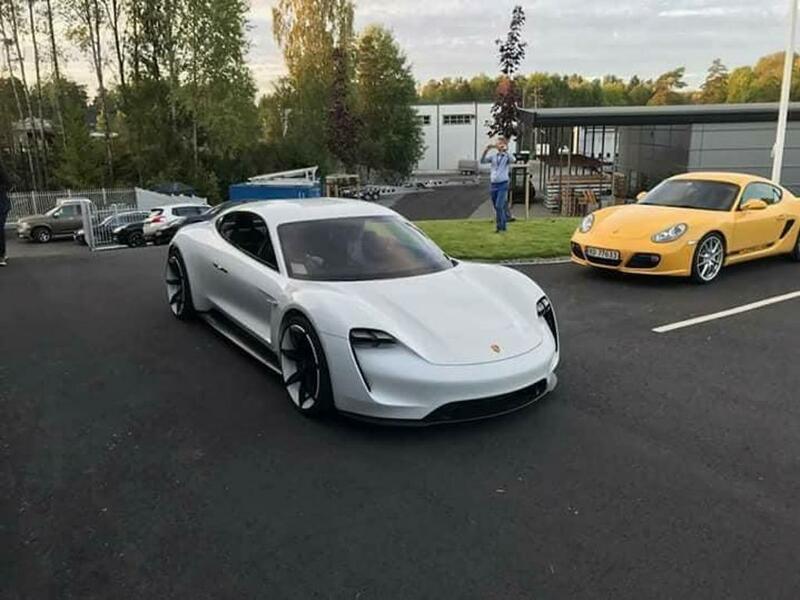 It’s a test platform that works with the introduction of its sister Mission E when Porsche comes back to EV land. The Mission E will have a far better performance with an estimated range of 310 miles (500 kilometers). The important part of the story is in the recharging, which is claimed to achieve 80% in 15 minutes. That’s not possible with 400V, but it is with 800V. Technically speaking, the Porsche Cayman e-volution is banking on the company’s fast charging system. What this means is that charging goes up to 320 kW per vehicle or two chargers at 160 kW simultaneously. The project is a partnership between Porsche Engineering and ADS-TEC. It basically would be a high-power fast charging system that could complement the newly forming European network of medium- and high-voltage connections. The problem when you’ve been racing and producing performance gasoline cars is that everyone expects you to continue to do so. We hear many current exotic owners, especially more so in the motorcycle world, that until these cars are charged quickly (in 3 to 15 minutes), they won’t be considered. High-performance car owners like to drive a long time, far, and fast. Stopping to re-energize a car for a long time is a dead stop. This has been the biggest obstacle to the adoption of EVs in that market segment. It would also explain why Porsche is painfully late to the game as it tries to find faster ways of recharging a depleted battery pack and send its adrenaline-happy clientele back on the road again. We can only wonder how they see the eventuality of autonomous driving, which will bring another set of complexities into the equation. It’s been a long and tortuous road to electricity for German carmakers. Audi has been taunting us with iterations of an eventual performance e-tron for close to a decade. Porsche introduced the plug-in hybrid (PHEV) 918 but has since gone back to the lab. We can’t help but thank startups like Lucid and XING Mobility (not to mention Tesla), as well as companies like Tesla for pushing the envelope enough to wake the sleeping giants. Add to this Porsche stepping into Formula E as of 2019 and you will get why the Mission E will become available. Impeccable and practical German marketing! Sadly, Porsche offers no tangible information on the drivetrain. The company wants you to know that this is how they see the future of e-mobility. One thing is for sure — when Porsche will reveal its Mission E, it will be good enough for its clientele.